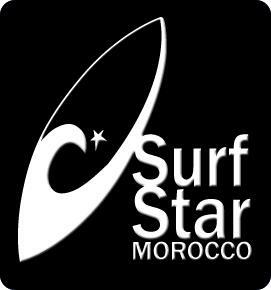 Unfortunately my much anticipated trip was temporarily cancelled due to some serious floods in the Agadir region but, was reinstated a few days later as Surfstar Morocco had managed to get operational. So, with a few hours notice I booked a flight from Manchester to have a quick 4 night trip and I found myself at Agadir airport where I was picked up by Bahs one of the surf instructors. The drive through Agadir really brought home that I had crossed into a different continent; the look, the atmosphere, the what seems like chaotic roads and driving that works perfectly well somehow, the buildings, the dress of the people, the fleeting sound of people’s voices as we speed past, the odd goat at the side of the road, roadside stalls, smells wafting from cafes into the van window. It’s a feeling I love and haven’t felt for a while. Like much of North Africa it’s a little shall we say, different to what Europeans are used to. For many including me this, along with the warmth and hospitality of the people is what is so charming and appealing about Morocco. We pulled off the coast road and up a winding hill to the SurfStar house to be enthusiastically greeted like old friends by Lucie, Pip and Laura and to be told that as it was only 1pm they were going to get us fed, settled into our rooms and get us shipped off to the beach for a quick surf asap. So far so brilliant! I was overwhelmed as Laura gave us the welcome tour at just how gorgeous the Surfstar house is, especially the first time I walked into the covered rooftop lounge/eating area. I love fairly lights so this was an easy win for me. The view from the outdoor roof terrace, the enchanting sounds of Morocco in the background as the sun dips into the sea. My room was equally lovely and I was spoilt by having it all to myself. Although, the whole house is so spacious I imagine even during busier times it never feels horribly full. I had the almost full package (everything apart from yoga) which included meals, surf, room and airport transfers. The food was fantastic. I feel a bit bad that I don’t remember the names of the chefs, they are all local, the food is delicious and they are always smiling. Breakfast of yummy local bread, jam, fruit, cereal and sometimes eggs was a great start to the day and the coffee was divine. Lunch was brought to the beach and evenings were 3 courses, soups, salad, chicken and lamb tagines, cous cous, chocloate mousse, all really good post surf healthy home cooked food. One night a week it’s the kitchen’s night off so we headed out for pizza in Taghazout, 2 miles away by taxi. The surfing itself consists of a prompt 9.30am departure and setting up a full on camp on arrival at the surf spot with little umbrellas and cooler boxes full of food. There’s friendly beach dogs playing and running around looking for a fuss or for you to throw stones for them to fetch, there’s camels that you can ride, herds of little goats (but they are disappointingly not in trees) and a zillion cats hanging around the fishing shacks. At Devil’s rock you can get a great cafe au lait for a euro in the little beach cafe a few steps from the surf. This really is a full day of surfing, arriving at the surf spot around 9.45am and leaving around 4.30pm. The morning consists of a proper lesson and after lunch is followed by free surfing in the afternoons. The guys are on hand on the beach making sure everyone is ok but leave you to get on and practice. I had teachers Barak, Bahs and Khaleed and Boba the photographer was always there with a word of encouragement too. I definitely progressed during my 4 days and only wished I could have had longer. I’m someone who needs a few days to build their confidence back up again after a break from surfing so I felt like I was just getting into the swing of things and it was time to leave. It was nice to see Lucie, Laura and Pip take advantage of a quiet week and join us for a surf too. I got very attached to my big green board that we named ‘the hulk’ and to my fellow surf buddies, two awesome guys from Germany and an American bloke who called me ‘the hulk’ . The waves were a bit dodgy the first two days on account of the storms that had just passed but, after that they were some of the cleanest conditions I’d surfed in. So much so that my dodgy shoulder behaved itself as I wasn’t in a paddle battle with the ocean to get back out on my giant board. On my last day I felt quite emotional leaving, I’d only been there 4 days but I felt a real bond. I also felt refreshed and stoked from the surf. As a 40 year old very wobbly improver travelling alone I had been worried about whether a surf camp was for me, would I fit in and would I find common ground with people, would I be the oldie left in the corner? I had nothing to worry about. If you want to go to bed at 8.30pm go, I won the prize for first to bed every night and was very proud of my status! And of course the comedy of surfing crosses cultures, languages and ages. There’s so much potential for making a buffoon of yourself while surfing that doing it together instantly creates a bond and limitless material for banter at dinner time. As my flight was at 8pm they let me stay surfing until the last minute at 4pm. I came back to the house to grab my stuff and say bye to Lucie, Pip and Laura. On coming down the stairs for the last time I stopped purposefully at a certain point to take in a deep breath and commit how I felt to memory. You see, there’s a smell when you walk into the ground floor of Surfstar Morocco, just as you pass the stairs down to the basement. It’s a smell that almost knocks you off your feet. Forevermore when I get hit with the smell of neoprene I’ll always remember walking down the beautiful tiled stairwell getting ready for the days surfing just about to start and how happy, relaxed, welcome and at home I felt. Tamraght offers access to all of the same surf as it’s famous neighbour Taghazout but, it’s quieter, cleaner and less busy. I’m afraid I can’t comment on the yoga as it wasn’t scheduled for the week I was there but, it is available and information is on the website. If like me you have avoided surf houses because of some of the shenanigans going on and poor accommodation then fear not! Surfstar is a million miles away from this. I’m planning to go back again with my bloke surf mate and cannot wait to see the place in full swing with more people gathered around the dinner table and more people to have a laugh with, it’s certainly going to be different to my first visit but, I’m excited all the same. Surfstar has a relaxing and inclusive feel and there is an established, brilliant team that work hard to nurture this. They seem to genuinely care about each other and the guests and have a passion for surfing, hospitality and people. Lucie and Mo have created a warm family environment and once you arrive you are in the Surfstar family and you will be going back!